Those who saw the star wars movie might know about the space ships that run between the galaxies. The specialty of this is that the travelers will try to drive them only in abnormal conditions. Otherwise, they move themselves and travelers will enjoy the space by seeing it from glass windows. It means spaceships have thinking power like humans. This is called artificial intelligence. The space ships that has artificial intelligence will decide where to go, how to go and where to stop in normal conditions or it is preset before. The Britain scientists are making exactly this type of space ships. With the help of European space agency (ESA) they are making second generation automated transport vehicles (ATV2). ESA stated that ATV2 is being designed that do not carry humans, shortly they make ATV2 that carry humans also. Presently they are making in such a way that if programmed and launched, they go to international space station (ISS) and deliver the requirements there and comes back. It means the ATV2 can also do some work done by humans in space without them. Once programmed and launched there is no need of supervising them from the earth. These space ships will have one brain and that is called as CIS brain by manufactures. It will be programmed to do the tasks from starting to ending of journey and also some extra capabilities. 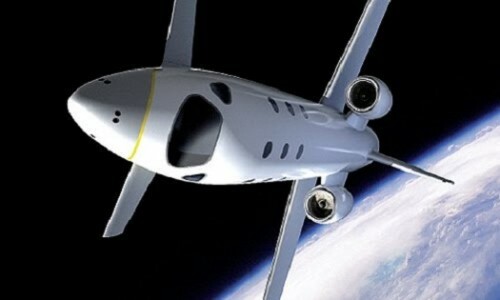 This spaceship can read and understand the documents written in English not only that, it can browse the internet also. It means through Internet we can chat or give suggestions to space ship.